Plan Your Marketing Campaigns For 2018 Using Data: Phil Gregory, Peak District SEO. “You’ve got to speculate to accumulate”. “To raise awareness of your business and to gain more attention, you have to invest in some marketing”. To get started, you’ll want to take stock of all the things that you did right, and all the things you did wrong in this year’s marketing campaigns. That will allow you to plan your marketing campaign effectively. If you’ve got data from previous years you’ll want to compare the data and pick out the best actions that you applied and rework your campaigns for 2018. Using Google Analytics, you can plan your marketing campaign, but don’t procrastinate, do it now! Starting in February could cost you a huge amount of lost leads and sales. Plan Your Marketing Campaign Using Google Analytics. I believe in a very steady, practical approach that uses data to make decisions. Many SEO companies offer complex solutions or write overly detailed ‘tutorials’ that lose their meaning before you hit the third paragraph. Walk before you can run. Look at the obvious things first. Every website needs visitors, and lot’s of them right? Wrong! You don’t need lots of visitors. You need enough visitors, enough of the right kind of visitors. In the old days, (pre-2013), it was very easy to see which search terms brought the visitors to your website. Google and other search engines have since removed that data, making it harder for marketers and business owners to be sure of the intent that drove a visit to your site. Looking at the Google Analytics Overview Report can give you an idea of how many visitors are coming to your site, but don’t rely exclusively on this report because it only tells part of the story. There are other metrics that you might want to check on, but I think these are the most important. How visitors find your website is really important. If you can access this data, you can determine which type of campaigns are the most effective and which need more work. Use the Acquisition report to see which channels (means) drove traffic to your website. Was it organic traffic, or paid traffic? Perhaps you got most visitors from referral traffic? Referral traffic visitors followed a link on another site to get to yours. For instance perhaps a link on your Social Media profiles. Perhaps users knew your web address and typed it into the search engine, that’s known as direct traffic. Maybe you’ve just run an email campaign or maybe people saw a post on Social Media and that brought them to your site? Whichever way people found your site, you need to know, before you can make any good decisions about how to engage with them. Google Analytics is a very versatile application, it allows you to customise the default reports looking only at the metrics you want or need to see. Here’s one I made earlier. Let me know if you need help creating custom reports. In figure 4: above, I’m looking at traffic channels in a customised acquisition report. You can see that paid search brought in the most traffic in the period I was checking. It would be too easy to jump to conclusions and say that because paid campaigns brought the most visitors that you should focus on that channel. The pro’s and cons of paid traffic are too many for this post, but it can be said that paid traffic can be highly successful at driving traffic to your website. The questions you have to answer are: Is your paid traffic profitable? If you look a little deeper, you can see that Organic visitors made more transactions, earned more revenue, and completed more goals than traffic acquired by paid search. Organic traffic is technically free. People are finding your site listings because Search engines think the content on your site matches what visitors are searching for. You are not bidding for a position on page one, you earned it by having a great website. So improving your organic traffic should be a consistent target. We can see that those who visited the site directly, whilst considerably less in numbers, had an even better conversion rate, completed more goals (such as downloads or email signups) and earned proportionally more revenue. This makes direct visitors a group you want to increase. This sort of traffic increases as your brand awareness grows. Landing pages are just what you might think, the pages that visitors arrive on. You’ll want to take notice of the top 10-20 landing pages on your site. You might be very surprised at the data. Over the years I’ve spoken to countless business owners who were convinced that one page or a specific set of pages would or should be their top revenue earner, but the data told a different story. Be mindful that your sales and revenue are driven by how well you meet the demands of your customers. Give them what they want. Look at the landing pages report. There is a reason that customers are coming to these pages in numbers. Here are some possible reasons why. When you look at the landing pages report, you may well be surprised. For better or for worse, this report displays most popular pages. Try sampling the data from previous weeks, months and years if possible. You can even sample the data for all time (as long as your site has been online). This will give you a very clear indication as to what products/services are popular. A) Capitalise on these pages and give users a reason to convert here. eg: A newsletter signup, or a download. B) See what you can learn from these pages that can be applied to other important pages on your site. What is different? It might be links, images or it might be the really good copy, but something is attracting traffic to these pages. “Ask yourself, are these high volume landing pages actually bringing value to my site? Or are they accidentally diverting visitors from becoming customers”? The ultimate aim here is to identify your highest converting landing pages. It’s worth remembering that visitors don’t always enter the site via the homepage. Try to ensure that every page has a purpose and furthers your aims. If it doesn’t do this, you should consider amending or removing the page. Site search is the most underused metric I’ve ever come across. I’ve lost count of the number of sites I’ve examined that didn’t have site search tracking set up. They are missing out on so much useful data. Whenever I deliver SEO for a site, this is one of the first things I enable when auditing a new client’s analytics setup. Whether you use a free platform like Blogger or whether you have an e-commerce site running on Shopify, Magento or Opencart, most website platforms nowadays offer some form of site search. Google Analytics can track any search that takes place on your site. By tracking site search this data you can see which products, services and information your customers are looking for. You might think that your pages or products are obvious and that your navigation is simple and easy to use. Maybe the users don’t agree. If that’s the case, you are losing business. Use the volume search terms to your advantage. Look for terms that have high search volume. Now you can make sure that the things users are searching for can be made more prominent. Also, these searches can provide you with lots of great ideas for your blog. If you sell garden chainsaws and see that people are searching for them, be sure to promote the page widely. Use social media and promotional banners on your site and in store. Write a blog about the best 5 garden chainsaws, point links from the blog to your chainsaws pages. Consider creating an email newsletter promoting the products that users are searching for. You could run an ad campaign targeting the products users are searching for. When the ads are clicked users will land on exactly the right page making them more likely to convert. Tip: Try to really help the average person, they have neither the time nor the inclination to work hard on your website. Don’t make them work to find what they need, it’s highly likely they will leave and never return. eCommerce Tip: Redirect search terms with high volume directly to product pages or category pages. This will increase your conversion rate. “If you sell red balloons and your visitors almost always search for blue balloons, sell blue balloons and make more profit”. Pennywise didn’t follow market trends. A goal is simply a target that you decide you want to achieve, such as gaining more newsletter signups or getting more calls from mobile users. Set your goals to measure performance. These key performance indicators allow you to quantify success and then adjust your tactics. For instance, you may want to know which pages lead to the most newsletter signups. These pages are highly valuable. The features on these pages can be applied to the rest of your site. Or the data might influence you to create an advertising campaign to drive even more traffic to your best revenue-generating pages. Allow you to track specific pages. For example, you may have created a thank you page, for visitors to land on once they have completed a contact form. You can also set a goal to monitor the number of visitors to the contact page, then compare the data to see how successful your page is at converting. Allow you to see how engaged users are with your content. Certain types of content require user engagement. You may want your users to watch one of your product videos. If the video is 3 minutes long, you need visitors to watch to the end. Set a goal to track how long users stay engaged with your content. If the majority of visitors stay engaged, then you know you have the right approach. If the majority of visitors are not staying engaged, then your approach much change. These goals track the number of pages each user visits before they leave. This type of goal will trigger if visitors view more than the specified number of pages in a single session. If they do, this will result in a goal conversion. Event Driven Goals track a specific action such as clicking a link or downloading a file. You might use these goals to track how many brochures are downloaded from your site, or how many times mobile users clicked a telephone number on your website. A conversion happens when the targets you set as goals are met. The most obvious types of conversion are goal conversions such as form completions, calls and downloads and transactions/sales. At the end of the day, the bottom line is what matters most. To ensure you are hitting your financial targets, you need to ensure your customers are happy. use the old saying and follow the money. The pages, that earn you the most money are ultimately your most important. Do not fall into the trap of going with your gut. Check the data and react appropriately. Put your best sellers and your best margin products/services front and centre. Product pages or service pages that don’t earn you money or convert, need improving and if they still don’t perform, remove them. Many businesses start to get busy again around March time, so to be sure of a better March than last year, we need to be fully aware of what worked and what didn’t work last March. Using Google Analytics you can plan effectively for the future. but don’t procrastinate, do it now. Don’t worry if you can’t implement all the points discussed in this post, just make a start. Starting in February could cost you a huge amount of lost leads and sales. 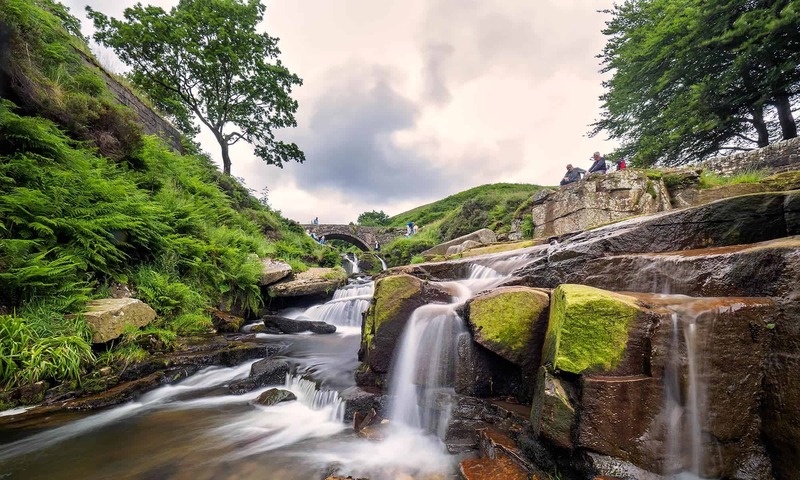 Peak District SEO explain how you can use your sales data to build strong marketing campaigns for next year.